Wits was the host of the 2018 BRICS games. Wits University hosted the third annual BRICS2018 Games, which saw South Africa place third in women’s soccer. The tournament was held from July 17 to 22. The South African teams performed their best even with the minimal training they received in preparation for the games. 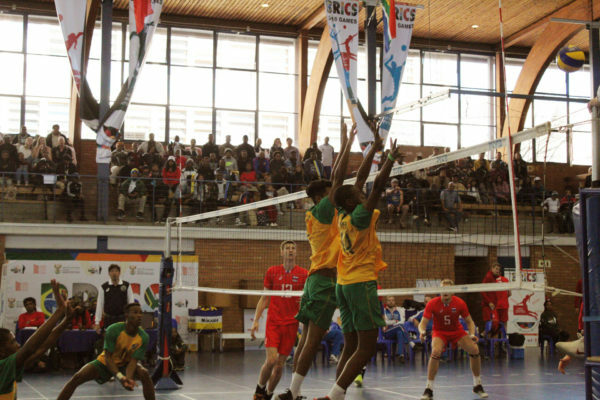 The volleyball men’s coach, Jayson Govender, said that due to lack of funding from the Department of Sports and Recreation, the team only had one and half days of training as opposed to the usual 6 months to a year of training before tournaments. He said that the games were a good way for the team to better themselves before they play in the African Union Sports Council tournament in Botswana in December. “In terms of performance, it was a learning experience,” Govender said. The U17 women’s team played with great spirit and put up a strong defense against both Brazil and India. However, their winning streak was brought to a complete halt, when they drew with Russia and lost to China. Brazil clinched gold in the women’s soccer. The U17 South African women’s soccer team sliced through with a bronze medal. The Russian men’s volleyball team scored first place while China’s women’s volleyball team walked away victorious after winning gold. Senior manager operations at Wits Sports, Kabungo Mubanga, said that hosting the games showed the competent staff and facilities that Wits has. The BRICS games which had previously been held in China and India, saw over 100 athletes competing in both soccer and volleyball. Chief director of marketing and communications at the department of sport and recreation, Mickey Modisane, said that hosting the games was an opportunity to unite and connect athletes from different cultures. “The BRICS Games are important in strengthening the relationships between the countries athletes, officials and sport persons, affording them an opportunity equally learn more about each other’s diverse cultures, nationality and background,” Modisane said. The BRICS2019 Games will be held in Brazil.